Phosphorous is generated from organic compound by certain bacteria that produce enzymes such as phosphotases and phytases. The founder of Norway's Steinsvik Group has teamed with a private equity on a plan to establish an aquaculture hub in the east coast Canadian province of Newfoundland and Labrador, reports The Telegram. Bjorn Apeland, who left aquaculture equipment supplier Steinsvik at the start of the year, has founded Marbase Marystown with Pluto Investments, a Newfoundland-based private equity company owned by Paul Antle. The town of Marystown has a template agreement in place to buy a disused shipyard back from its owner, then lease it to Marbase, according to the article. A leaked document on the plan said the company plans to turn the facility into a “fully-integrated aquaculture service hub". 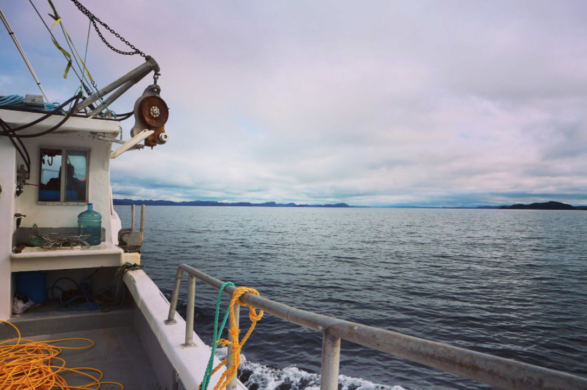 The operation will be the first of its kind in Canada, according to the document, and will provide comprehensive services offerings to the aquaculture industry in the Atlantic region. However, it depends on what happens with the plans of another Norwegian, Per Grieg Jr, to build a big salmon farming project off Newfoundland. Grieg Newfoundland (NL), a sister company of the Oslo stock exchange-listed Grieg Seafood, is the entity Grieg plans to use for this development. Grieg NL is a new aquaculture company located in Marystown, Newfoundland, that is created as part of the Grieg Group of companies and OCI. Sam Synard, mayor of Marystown, said whether the development happens largely depends on if Grieg NL’s proposal to operate a salmon hatchery in Marystown, along with farms in Placentia Bay, receives environmental approval from the provincial government.